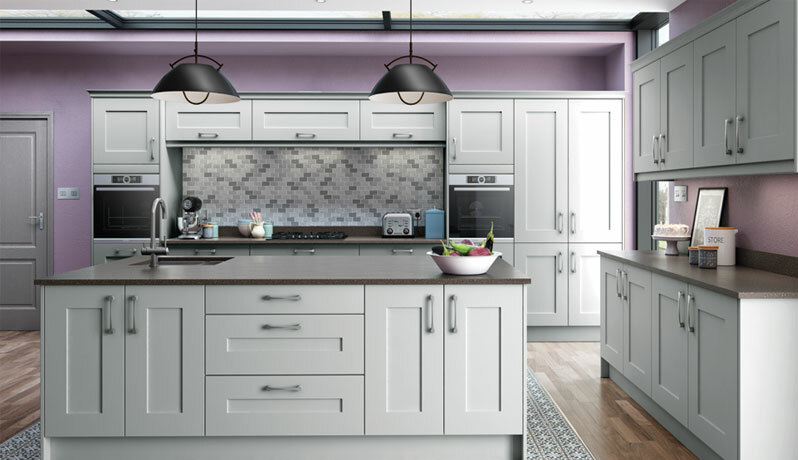 Since our kitchen showroom was rebuilt due to fire damage in 2014 our sales have steadily increased year on year, which considering the amount of competition small independent business like us face against the large multi national stores is an achievement we are very proud of. 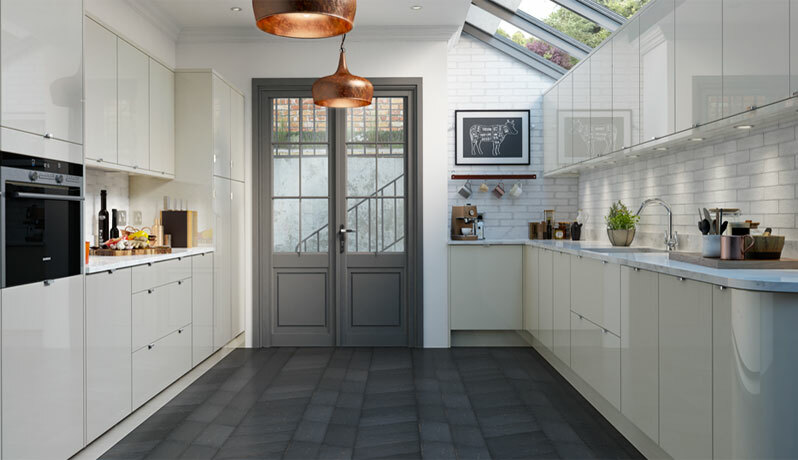 We take great care when designing our showroom displays, from carefully selecting a floor that compliments the choice of door. 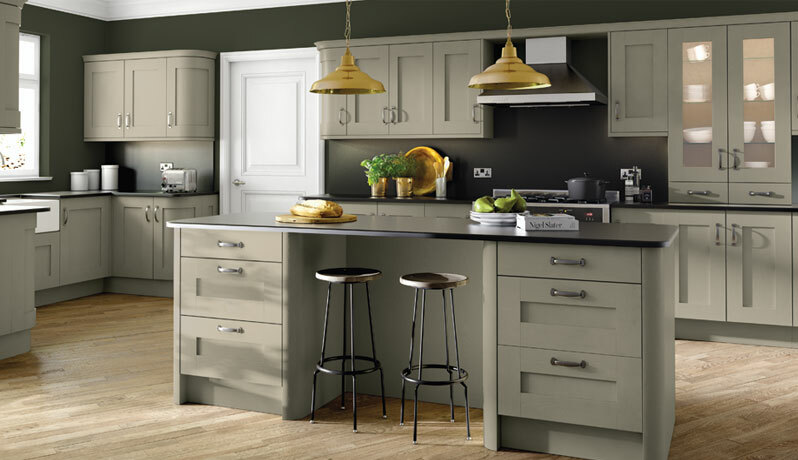 To a worktop that sits beautifully against the choice of wall covering. 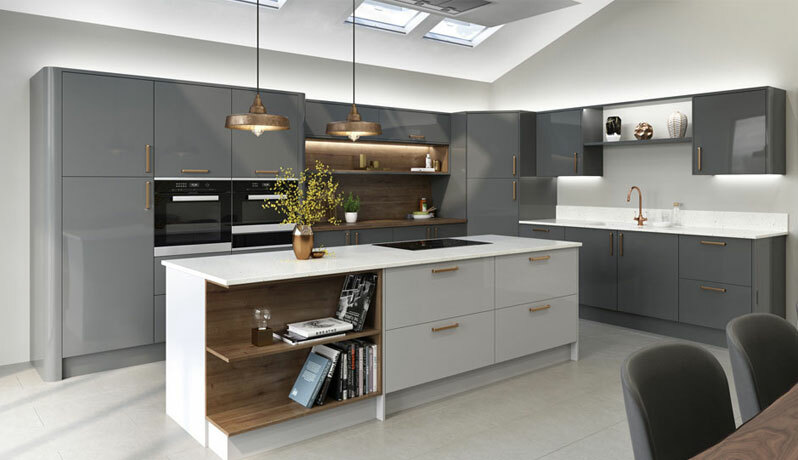 We find our biggest asset is that you can pick everything you require for your new kitchen under one roof, we offer a stunning kitchen showroom, a large selection of worktops whether it be laminate, solid wood, granite, quartz or a host of other options. 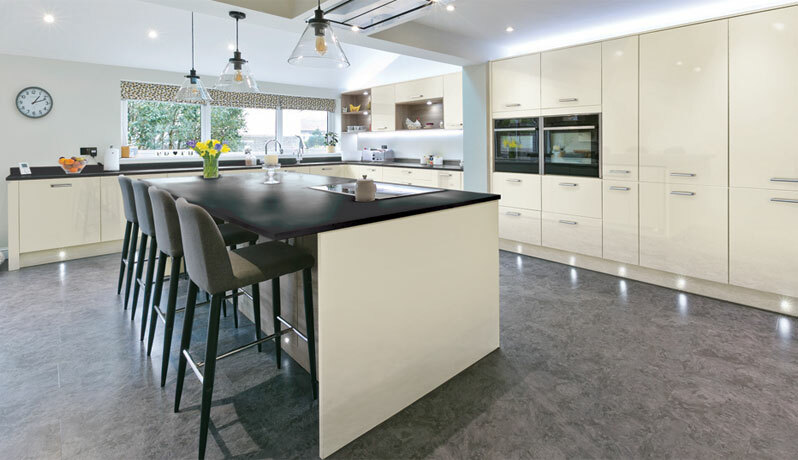 Then to top it off we have one of if not the largest most beautiful tile & stone showrooms in the entire UK. 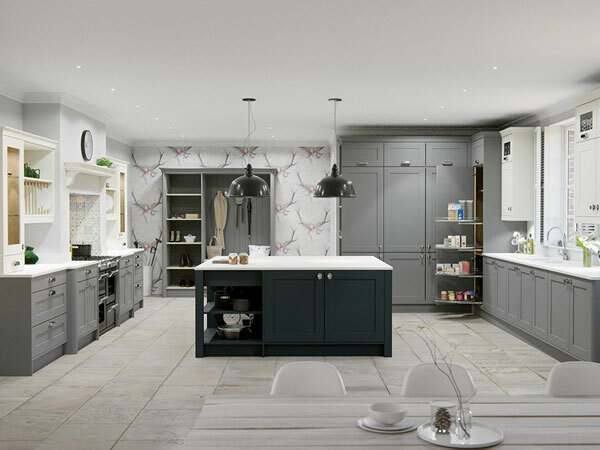 Ian Bush is our man that heads up the kitchen department, he is an expert kitchen designer who has now been selling our kitchens for over 35 years. We regularly receive feedback that Ian is a true gent that always goes above & beyond for our customers. 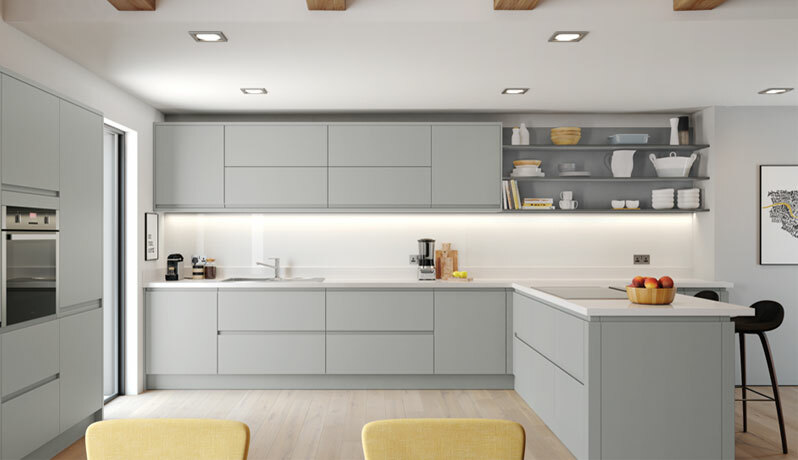 We offer a free design & quote service, this can be carried out at our premises or at your home address, please feel free to contact the showroom to make an appointment with Ian. 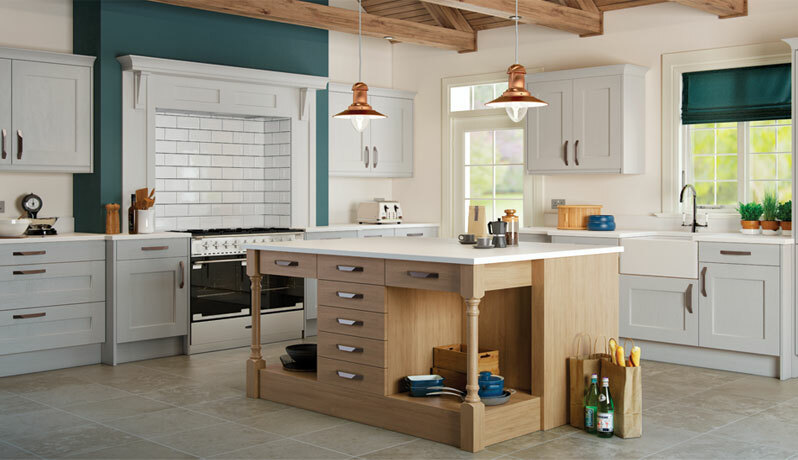 The biggest surprise our customers find about our kitchens is just how affordable they are. 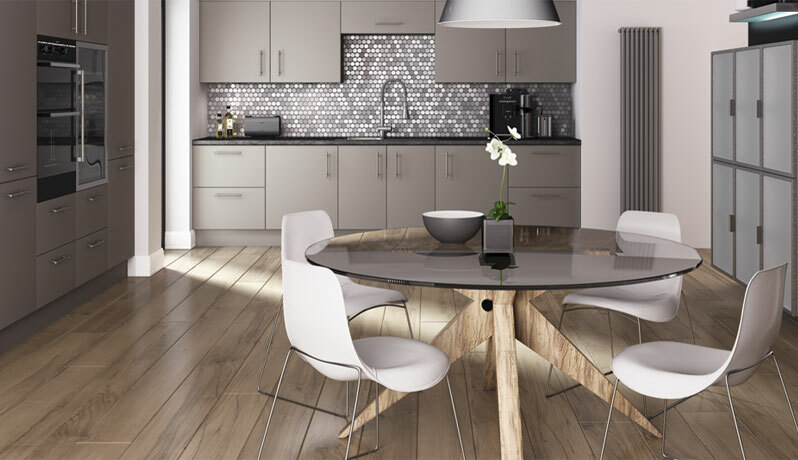 We totally understand that there is little point having a beautiful showroom if you are outpricing your targeted market place. 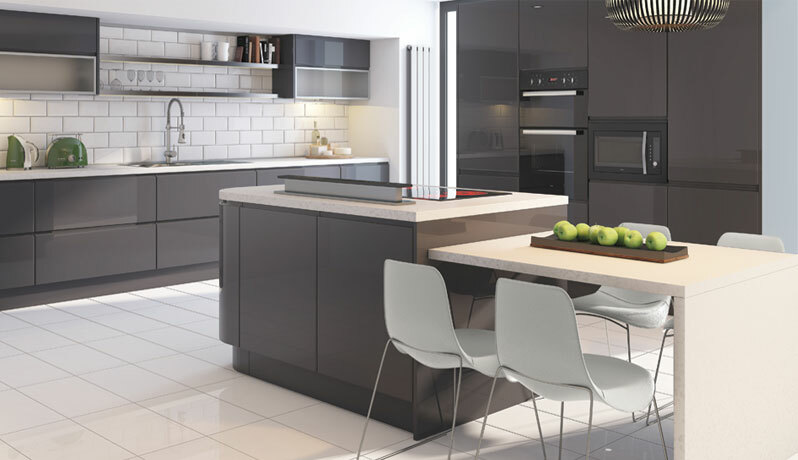 Our kitchens generally run inline pricewise with the large diy stores, builders merchants & other independent showrooms. 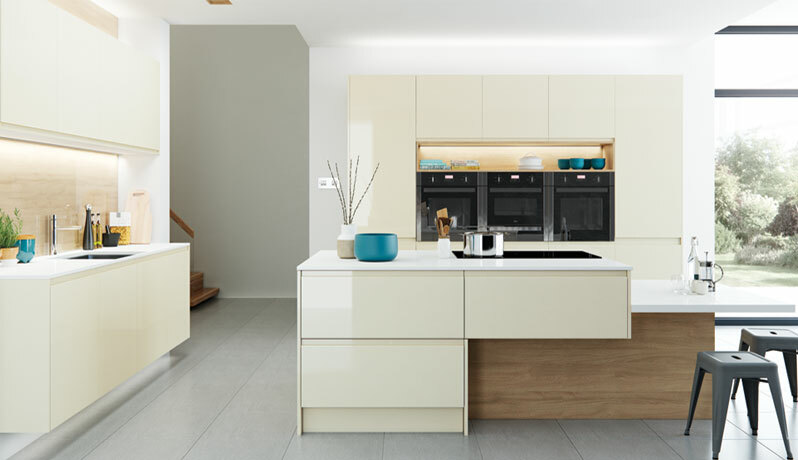 We offer a wide spectrum of kitchen options, from a totally bespoke handpainted, to a gloss handless kitchen. 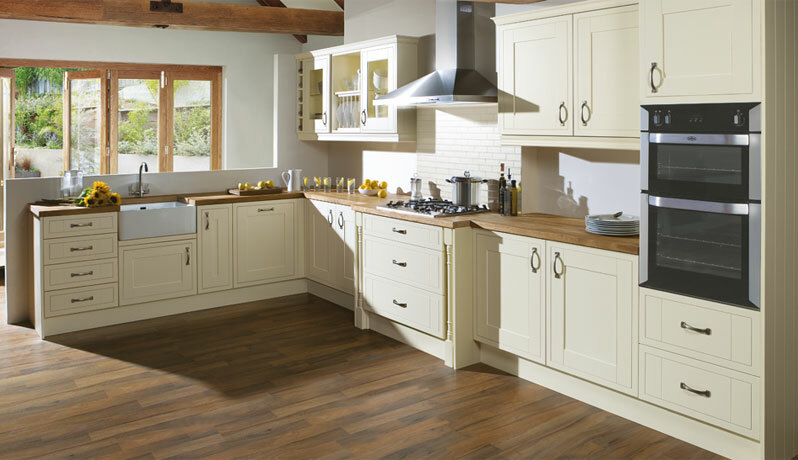 We can supply & fit or supply only, the choice is yours. 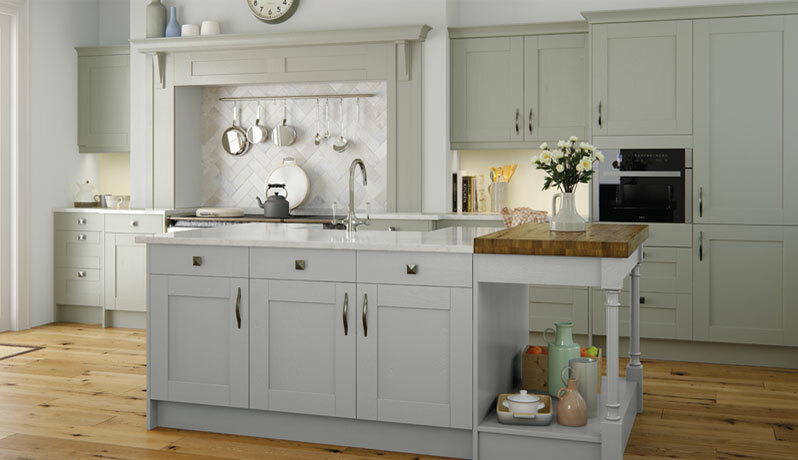 Call us today to book your appointment or pop down to check out our showroom, the kettle is always on.